One of the most common times where a real estate agent may not be needed is when a homeowner is wanting to rent their home out. There are many national and local websites that allow owners to post their vacancies for rent without the need for a real estate agent. Some of these sites may even provide generic lease documents for property owners to use, though it should be cautioned that local laws often control specifically the way residential leases can be written so it is best to consult with a local real estate attorney to make sure the lease used meets local requirements. If you do opt to work with a local real estate agent to help you rent out a home then that agent should be able to place your vacancy listing on the local Multiple Listing Service (MLS) and various other locations where potential renters may be able to discover it. Your local agent should also have access to leases that comply with local laws. Of course it you are turning over your home for lease to a local property management company often times those companies are run or owned by licensed real estate agents. You may not have much direct interaction with those agents but the agents will be performing a lot of the work required to be performed by licensed agents under the state laws where the property is located. So while it may seem you are not working with real estate agents when hiring a property management company there most likely are agents working behind the scenes if they are not readily visible from the start. 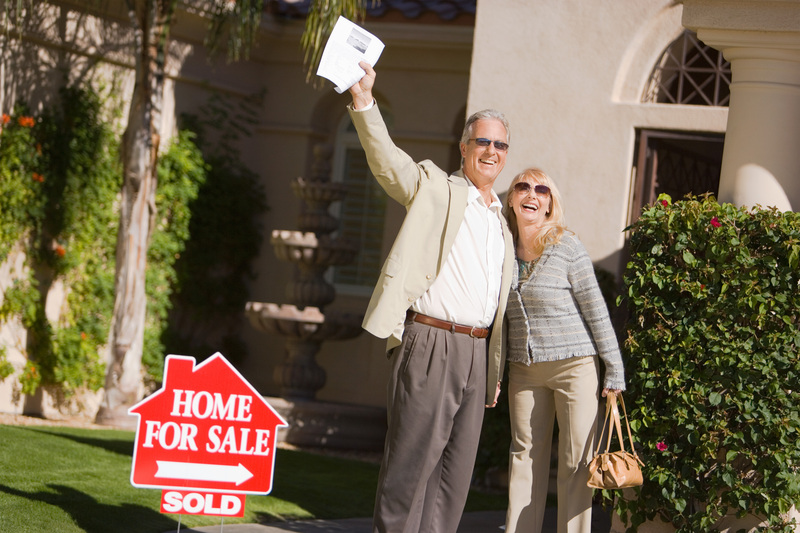 No state laws require the use of a real estate agent when selling a house unless the person is doing it for someone else they are not related to. As a result homeowners are free to attempt to sell a home on their own and some do sell their home successfully as a For Sale By Owner (FSBO). Prior to attempting to sell a home FSBO homeowners should understand all the requirements that are involved will selling a home. There will be multiple deadlines associated with selling a home that if missed can cause a deal to go south or worse go to court. While there will be state forms that can be used by FSBO sellers for purposes of real estate offers from buyers, home sellers are advised to be cautious with just using the generic state forms without fully understanding what the terms and language of the form are binding the parties to. At the very least any offer received should be reviewed by a qualified real estate attorney to make sure the homeowners interest are adequately protected under the contract. It is better to spend some money up front and get legal opinion from an attorney than spend many times more in order to deal with the issue in court. So while the services of a real estate agent can be handled by the homeowner through a FSBO it should be realized all the real estate agent does is not the responsibility of the homeowner. A real estate agent will provide staging and preparation tips for the home, arrange to take or contract out professional photographs, create videos of the home, coordinate with contractors (home inspectors, appraisers, lenders and more), make sure the right home buyer knows about the home for sale, negotiate contract issues and home inspection matters and much more. Often real estate agents are doing all of the above under tight time constraints and professional agents will generally be on top of their work flows to make sure everything is done on time. The homeowner selling FSBO must also make sure time frames are adhered to, marketing is stellar and access allowed to the professionals who need access to the home to get the deal done. Homebuyers can certainly opt to not use a real estate agent when buying a home but should realize that they won’t necessarily be saving any money when buying a home listed with a real estate agent. When a home is listed with a real estate agent the amount of commission charged to assist with selling the home is set at the beginning of the contract and cannot be reduced unless the broker agrees to reduce it. Homebuyers may save money by buying directly from a FSBO but that presumes the FSBO seller is not overpriced on the house and the homebuyer is buying the home at or below market value. Another thing to be wary of as a homebuyer when dealing with a home represented by a listing agent is when the listing agent opts to represent both the buyer and the seller in the same transaction. These cautions should also be heeded by the homeowners as well since their representation will now be less in this case. Often called Dual Agency, this means the agent is representing each side of the transaction in as neutral of a position as possible. The agent must keep confidences of both sides and cannot divulge confidential information of one side to the other. On the other hand when only representing one side of the transaction if the buyer’s agent knows the sellers are divorcing then the buyer’s agent is free to tell their buyers without reserve as it could help them when making an offer. That could not happen in a dual agency situation. If a seller’s agent attempts to become a dual agent and represent both sides it is better for the buyer to seek out their own agent. If the homebuyers opt to allow dual agency or to represent themselves then they would be better off if the documents and the transaction as a whole is reviewed by an attorney. It should be noted that in order to prevent any conflict of interest under law and attorney ethics rules an attorney cannot represent both sides of a transaction where at least one side has an attorney. 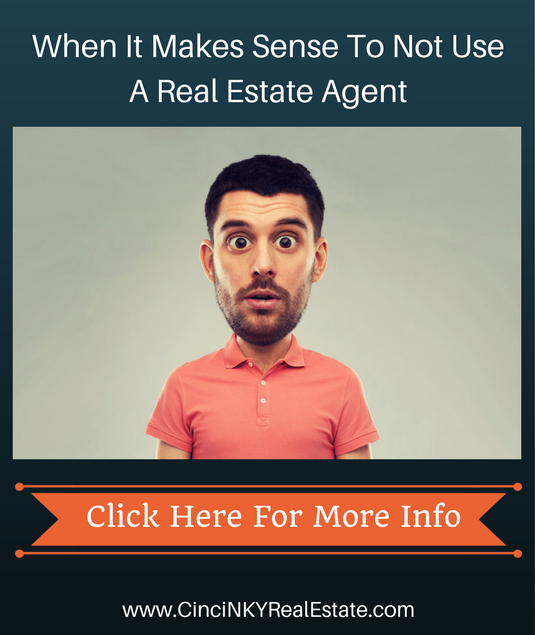 Does It Make Sense To Buy Or Sell Real Estate Without An Agent? If a homeowner or homebuyer are savvy enough and have conducted many real estate transactions without an agent then there may be little reason for them to start working with an agent. Homebuyers though who will be buying a home that is represented by an agent would be better off working with an agent since the compensation for that agent is already built into the house sale. Homebuyers will not save any money by only working with the listing agent and may end up losing more by not having an agent who looks out for their best interests. FSBO home sellers may also want to consider offering some amount of compensation for an agent representing a homebuyer. With over 80% of all residential real estate transactions involving an agent it makes sense to allow a homebuyer’s agent to help make the sale. 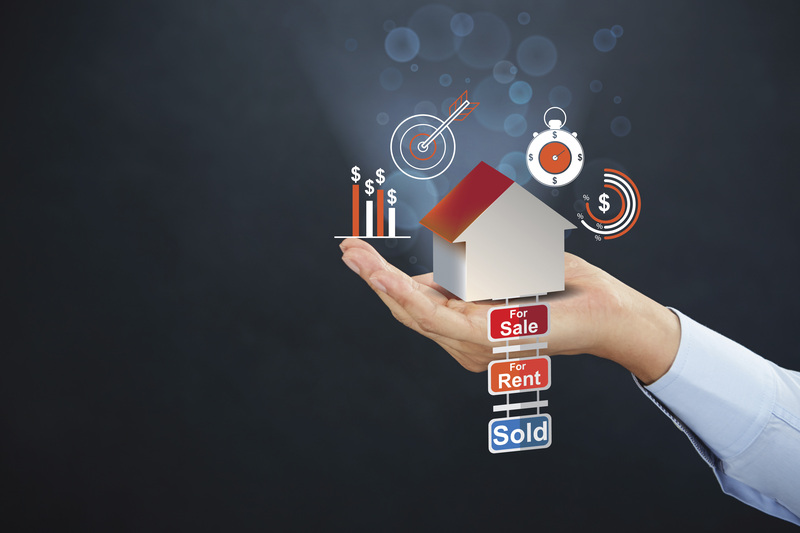 For the experienced individual person conducting a real estate transaction without the help of an agent might be the sensible thing to do if time and money savings can be had. One must truly understand all the goes on in a real estate transaction and understand the potential legal fallout that can happen if things don’t go perfectly as planned. About the author: The above article “When It Makes Sense To Not Use A Real Estate Agent” was provided by Luxury Real Estate Specialist Paul Sian. Paul can be reached at paul@CinciNKYRealEstate.com or by phone at 513-560-8002. If you’re thinking of selling or buying your investment or commercial business property I would love to share my marketing knowledge and expertise to help you. Contact me today!